Oriental Rug Cleaning with Smart Choice is as easy as one phone call. Oriental rugs can hold dirt, animal dander and other irritants that can cause allergies or other health issues. We love taking great care of your Oriental rugs and leaving them looking brand new. Call us today to see how amazing we can make your rug look! Oriental Rugs and loose woven rugs should not be cleaned on location like wall to wall carpet. We will pick your rug up and bring it to our special cleaning plant. 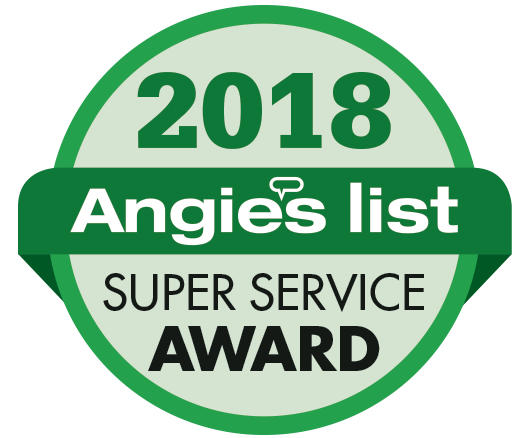 Having your rug cleaned in our plant allows us to give it several treatments for a more thorough cleaning, controlled drying, and the use of various tools that are not available on location. 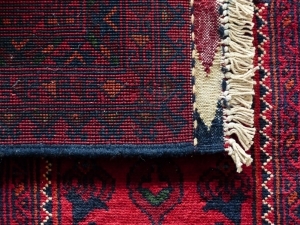 Here are the steps we’ll carefully take to ensure that your rugs come out looking brand new. Woven rugs, especially hand-knotted rugs are designed to hide dry soil. A few years ago, the Eureka company did a study and found that a 9 x 12 could hide 87 pounds of dirt! WOW! We use a variety of techniques to “dust” the rugs from the front and back. A machine called a pile lifter, special vacuum attachments, and any many other methods are implemented. This is the most important step in cleaning any textile. Depending on fiber content and soiling type, the rug will be pre-treated to emulsify the soils. Most rugs are cleaned with an Oriental Rug Shampoo that is specially designed to get maximum cleaning while protecting sensitive natural fibers. Our cleaning specialist will give the rug a final inspection and release it for pickup or delivery. Your rug will be wrapped in brown craft paper to protect it from dust and environmental soils until it is picked up or delivered. Upon delivery, we will lay the rug for you. Smart Choice Cleaning is proud to offer Wool, Oriental, and Persian rug repair and restoration. 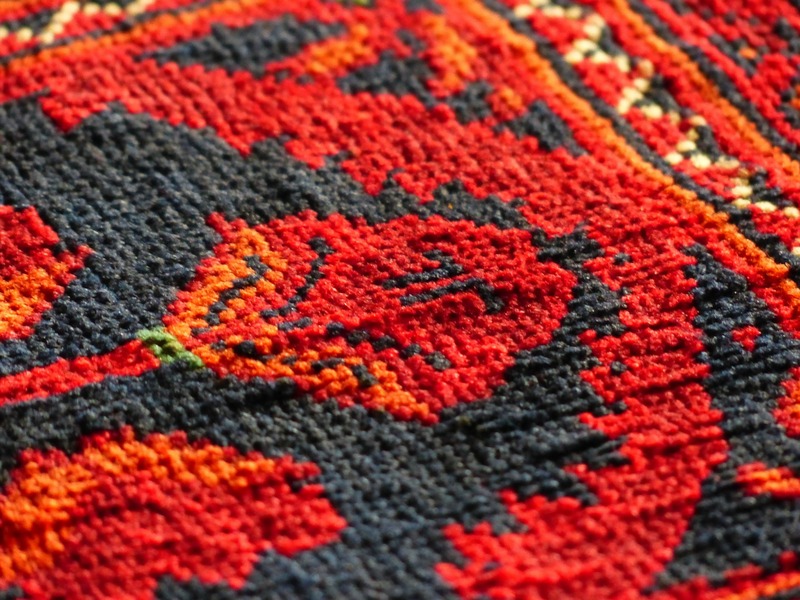 Our experienced technicians are able to repair most damages that can occur to your rugs. 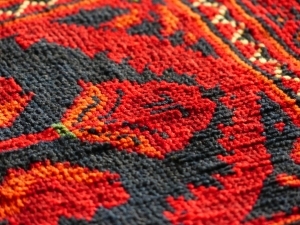 Problems such as fringe damage and tears are able to be restored, restoring your rug to its original condition. Bring your Wool, Oriental and Persian rugs to our offices for a free estimate for repair. Why Do I Need to Have My Rug Professionally Cleaned? Countless rug owners ask this very question when talking about cleaning their rugs. Many would just prefer to clean their own rugs to save them from the cost of having it professionally cleaned. Others don’t really know the true importance and benefits of professional cleaning on their rugs. Having your rugs professionally cleaned has a lot of advantages which can really help you in the proper maintenance of your rugs. If you have not tried this cleaning method, here are some of its major benefits to help convince you to try it out. High Level of Cleaning – Some do it yourself method may seem like effective ways to get your rug clean but it certainly doesn’t compare to getting professionals to do the job. Rug cleaning professionals are experts in their field and thus possess high level of knowledge on the proper cleaning and maintenance of your rugs. They have been trained in this art and will be able to use the high technology equipment to get the job done. They will be able to completely clean every inch of your rug leaving it spotless and looking like brand new as if you just got it from the store. Helps Maintain the Rug in Good Condition – Doing your own cleaning is okay to remove stains and dirt but when it comes to the proper maintenance of your rug and keeping it in good condition it may not be enough. Many rug owners don’t have the proper know-how to take proper care of their rugs and they end up damaging it with the use of improper cleaning products or from using the wrong cleaning methods. Getting your rug professionally cleaned will help solve all of this as the professional cleaners will be able to properly take care of your rug and give it back to you in excellent condition. This will also help in improving the rug’s lifespan so that you may continue to enjoy it for a very long time. Some may frown at having their rugs professionally cleaned simply because they think that it will cost a lot of money. What they do not know is that it brings about a lot of advantages and benefits which is certainly well worth the extra money that you spend. Have your rug professionally cleaned a few times a year to help keep it clean and for it to stay in tip top shape always.